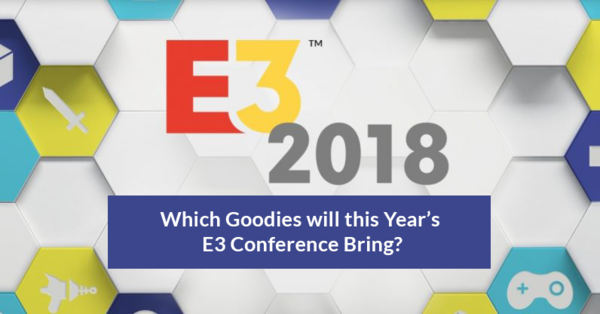 Which Goodies will this Year’s E3 Conference Bring? Every year, game developers from around the world look forward to the Electronic Entertainment Expo (E3). This year, it will take place from June 12th to June 14th at the Los Angeles Convention Center. The event is the biggest games convention in the world and it provides an opportunity for producers, developers, and publishers to display their latest products, from forthcoming games to the newest gaming accessories. So, which goodies can we expect from this year’s edition? Just like other previous E3 events, the E3 2018 will start with press conferences held by several companies in the days before the real convention begins; giving details about new games and other related products they intend to produce. Already, several companies have held press conferences, including Microsoft, Ubisoft, Bethesda, and Electronic Arts. For example, Bethesda announced a groundbreaking new mobile game called The Elder Scrolls: Blades. You can play this game whenever and wherever you want against your peers. It will be launched on multiple interconnected devices and systems—phones, PCs, consoles, and even VR helmet. When the real event starts, game developers will run exhibition booths to enable them to demonstrate how their new games work. Journalists, the public, retail representatives, and other gaming enthusiasts will interact with the creators and get one-on-one response to their questions. Furthermore, other side events will also be taking place in neighboring venues, such as private interviews and video game competitions. Therefore, the E3 2018 will be instrumental in shaping the trends in the gaming industry for the rest of the year, and even in the next few years. Since the E3 events started in 1995, they have been restricted only to members of the video game industry and journalists. However, in 2017, the Entertainment Software Association (ESA), the company that organizes the events, changed the rules to allow the public access. As a result, E3 2017 recorded a high turnout of 68,400 attendees. This year’s expo is expected to record a higher number of attendees. The increased participation in E3 2018 is essential for the growth of the gaming industry, as non-industry members can gain interest and start playing games. Already, several notable developers and publishers have confirmed their attendance at E3 2018, from nearly every genre in the gaming industry. For example, Epic Games will showcase Fortnite Battle of Royale, Ubisoft will present its forthcoming games, and Nintendo will tease a couple of new games to expect in the near future. E3 2018 is expected to display groundbreaking technologies, never-before-seen games, and other exciting developments in the gaming industry. If you want to learn how to make exciting games using the latest trending technologies in the gaming industry, then LiveEdu should be your premier choice. The platform has practical projects that will assist you to take your game development skills to the next level. You can keep track of the E3 happenings on the E3Expo website. What are your expectations concerning the world’s largest gaming expo? Please share your comments below.